It is somewhat safe to say that, without transportation, we wouldn’t have gotten anywhere. 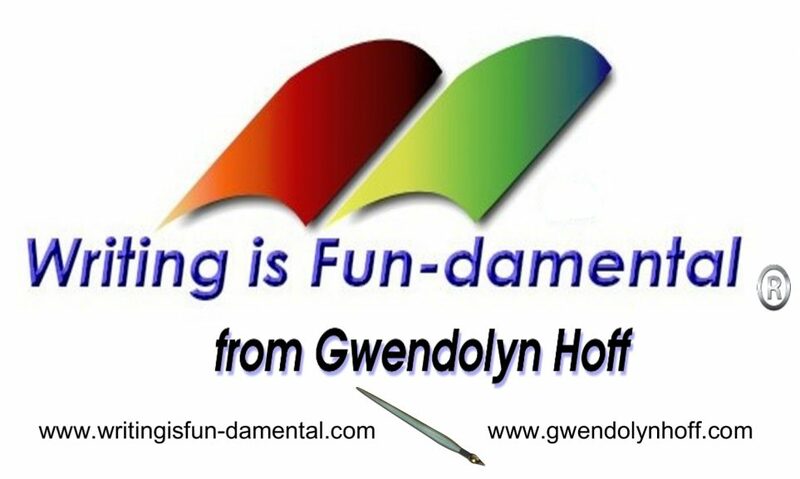 The discovery of fire, speech, writing, and all the other man-made inventions, have definitely brought us a long way. But without the ability to transport these inventions to other parts of the world, many of them would have simply faded back into obscurity. And many of them have, by the way. Nevertheless, transportation freed us up to become the dominant species on the planet, moving from one place to the other with relative ease, colonizing new places and meeting new cultures – sometimes with bad consequences. We went from simply walking, to riding horses, to inventing the wheel, to crossing vast oceans, to flying over them entirely, and finally, to going into outer space. But even with how much transportation has evolved over the centuries, especially during the past several decades, innovation is only picking up steam. Who knows how people will be moving around in 20 years? Well, these examples might offer us a glimpse of what is to come. Up until the invention of flying, water was the fastest means of transportation. But even to this day, traveling by water is still the cheapest. In any case, by combining the benefits of both air and sea travel, two men, Alain Thébault and Anders Bringdal, have designed a water taxi that seems to be gliding right above the water surface. Known as Sea Bubbles, these transportation vehicles are perfect for overly-congested cities that also have a major river, or another body of water, passing through. Not only are they able to take you to, or close to, your destination in a fraction of the time, but they will do it in a completely clean way. Each individual Sea Bubble can hold up to five people, and can be accessed via special docks along the river. They are battery-powered, and have a 50-62 mile range at speeds of up to 20 mph. What’s particularly interesting about these vehicles is their ability to glide over the water surface, thus reducing friction with the water, and improving both its speed and range in the process. They do this by making use of two wings submerged below the water surface. When in motion, the Sea Bubble lifts up from the water, with only its two wings making contact. Because of this, the ride will be less bumpy as compared to ordinary boats, and there will be little to no waves generated. And because it is battery-powered, the Bubble is completely silent. How long have we’ve been waiting for hoverbikes? Probably ever since we first saw them being used in Star Wars, at least. Well, they are finally here and they work. Looking more like a commercial drone on steroids, the Hoversurf Scorpion-3 is the brainchild of a Russian drone start-up. These hoverbikes are programmed to fly at altitudes of 16.4 feet for 25 minutes, and at maximum speeds of up to 44 mph. They are capable of going much higher than that, setting a record of 93.5 feet, but for safety reasons they are limited to only 16.4 feet. It weighs only 229 pounds, which luckily is below the 250-pound threshold – the maximum weight allowed before you would need a registration or a pilot’s license in most countries. According to their website, these hoverbikes are made for extreme sports enthusiasts who don’t shy away from heights and high speeds. But someone else has shown interest in acquiring an entire fleet of them – the Dubai Police. With them, the officers could zip over traffic, or reach inaccessible areas, in a moment’s notice. But before they will unleash them onto the city streets, the Dubai Police will conduct further testing to explore what other possible uses these hoverbikes might have. If there are hoverbikes around, then flying cars shouldn’t be too far behind. Now, even though the project is still under development and has some way to go before it will become available to the general public, Uber and NASA have come together in order to make flying cars a reality. Known as Uber Elevate, this project involves the development of a vertical takeoff and landing (VTOL) aircraft, which will most likely have a fixed-wing design. Mobile propellers at each end of the wings will be able to rotate up and down, thus allowing the VTOL to land and takeoff on the spot, without the need of a runway. The aim of this project will be to bring an airborne version of present-day Uber taxis to large, congested cities all around the world. Uber is also aiming to make their vehicles autonomous, so as to eliminate the human error element. The hope is to have these flying cars take people from one place to another over the city and land on specifically-designed helipads or on the rooftops of certain buildings. They hope that by 2020, some of these flying cars will be operational. The company has also announced that LA, Dallas, and Dubai will be the cities where this technology will be implemented first. Uber is not the only one with such grand plans in mind. Airbus is also developing its own City Airbus program, which will work, more or less, on the same principles as Uber Elevate. In recent years, Aston Martin, the British luxury car manufacturer best known as James Bond’s car-maker of choice, has entered the seafaring market with a 1,000-horsepower motorboat. More recently, however, they’ve designed and created a submarine. Together with Florida-based Triton Submarines LLC, Aston Martin has developed a high-end, luxury submersible, codenamed Project Neptune, and worth $4 million. Built around a platform specifically designed for super yachts, Neptune will only be 5.9 feet in height and with a total weight of about 8,800 pounds. It will be able to carry three people to a depth of 1,650 feet and at speeds of up to 3 knots, or about 3.5 miles per hour. Oh, and it’s also air conditioned. “If you build a ship that’s capable of going to Mars, what if you take that same ship and go from one place to another on Earth? We looked at that and the results are quite interesting,” said Elon Musk in an interview not that long ago. Over the past several years, Musk’s SpaceX has been experimenting with reusable rockets in an attempt at lowering the cost of going to Mars. 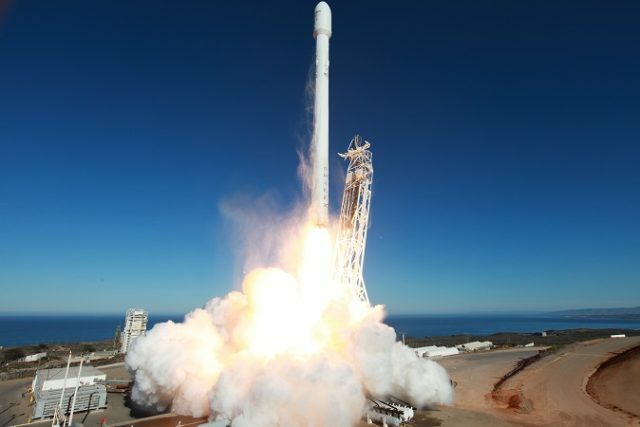 If the cost of sending people and cargo into space was at around $10,000 per pound, after Musk’s many test flights and experimentation with reusable rockets, that price has dropped to around $1,000 per pound. This price reduction has ignited some debate about a possible intercontinental transportation system involving rockets. Now, the plan is pretty out there and it may take some time before it could become a reality and available to the general public. Nevertheless, if it’s ever put into practice, it could connect any two cities anywhere on the face of the Earth. One such rocket would be able to transport 100 people from New York to Shanghai at speeds of 17,000 miles per hour and in just 39 minutes. It would, thus, take most people more time commuting to work every day than it would to travel half-way around the world. Back in 2015, a company by the name of SkyTran opened a 900-foot test station near Tel Aviv, Israel. This station is used as a testing ground for a self-driving monorail system capable of transporting people 20 feet above the ground, and at speeds of 155 mph. The system involves a series of 300-pound pods traveling on a network of rails suspended above the ground. Together with NASA, SkyTran designed differently-sized pods that can accommodate two or four people, one for the disabled, and another, larger one used for transporting cargo. Somewhat similar to a Maglev train, these pods glide on the suspended rail by making use of electricity, gravity, and magnetism. Using the same amount of electricity as two hairdryers, each pod reaches a speed of 10 mph, after which it accelerates on its own, without any additional power. Due to their small design, these pods can even go through buildings, with stations being located within the buildings’ lobbies themselves. Unlike normal public transport, SkyTran pods do not have a precise schedule. Passengers will get on the first pod that shows up and will input their destination of choice. They will then be taken there automatically in only a fraction of the time it would take traveling on the ground. The first such suspended rail system will be implemented in Lagos, Nigeria by 2020. There are also plans of building one in Abu Dhabi. An obvious sign of a developed society is how well it treats its weakest members. When we look at disabled people, for instance, that progress presents itself in the form of integrated infrastructure such as ramps, special platforms, toilets, and so on. But this infrastructure, especially if not built right from the start, can cost well into the billions nationwide. One other way to address this issue, while still providing for the disabled, is to redesign wheelchairs so as to get around without the need of this costly infrastructure. This is what four university students have managed to achieve by independently funding, designing, and creating the scewo wheelchair. By making use of state of the art technology, this wheelchair uses two large wheels to drive on flat terrain, while two sturdy rubber tracks allow it to climb and descend stairs with ease. Thanks to its wide base, the wheelchair is also able to go up and down spiral staircases. Its design is also compact enough so as to maneuver easily indoors and fit through standard doors. It can also rotate on the spot, drive on slippery terrain such as snow or loose gravel, and can raise itself so as to bring the user at eye-level, as well as to reach overhead objects. With the tremendous potential the Maglev system has when it comes to fast transportation, it is no wonder that more and more companies are looking to implement it in the coming decades. But while this system is still restricted to rail networks for the time being, some have envisioned it being used on our roads and highways. Short for magnetic levitation, the Maglev system makes use of two magnets – one that lifts the train off the tracks, and another that pushes it forward. The train is, thus, able to accelerate without actually making contact with the rails themselves. This way, it can reach speeds of up to 375 mph – making a trip from NYC to LA last only around 7 hours. Anyway, the Float is a car concept designed by student Yunchen Cai which makes use of the Maglev system. The design makes the Float look like a bubble floating just above the street. Each individual pod is able to seat one or two passengers, but several of these pods can clamp up together (like bubbles in a bubble bath), allowing for more people to travel together. The Float also has bucket seats and sliding doors, making it easy for people of all ages to get in or out. And like several other entries on this list, the Float will not necessarily be private property, owned by individuals, but rather, they could be better seen as taxis which one could call upon anywhere, by using an app. At first glance, windowless planes (and definitely not windowless in the way you’re probably thinking) do not sound like a particularly good idea. But after seeing this new design, some may just change their minds. Conceptualized by Technicon Design, an international agency, this proposed idea was designed to make use of already existing technology, or one that will be available in the very near future. Instead of the standard plane windows, these private jets will have no windows whatsoever. Instead, they will make use of high-resolution, low-voltage screens located on the sides and ceiling of the plane. Cameras mounted on the outside will capture the surrounding views and will display them in real-time in the inside of the plane. These screens will be powered by solar panels mounted on the roof of the plane. Now, besides making the flight a more pleasurable experience, this technology will make these private jets sturdier and less cumbersome. By removing the windows altogether, the overall weight of the plane will drop significantly, thus making it much more fuel efficient. And with a simplified fuselage, there is much more flexibility for the interior design, as well. These displays can also project other images, besides the outside view – changing the mood inside the jet, depending on preference. If desired, they can also display a traditional plane interior. With so many proposed plans of colonizing the solar system these days, it would only be fair to address at least one means of future space travel. 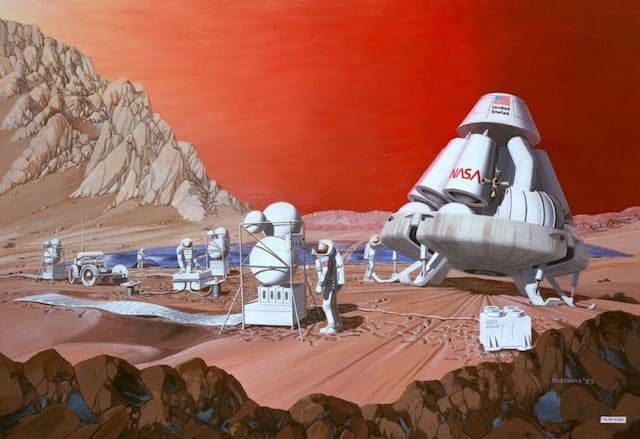 Hopefully, in the not-so-distant future, humans will begin forming a colony on Mars. If this ends up being the case, we will need to develop a means of transportation that is fast and reliable enough to get us to and from there in only a fraction of the time. 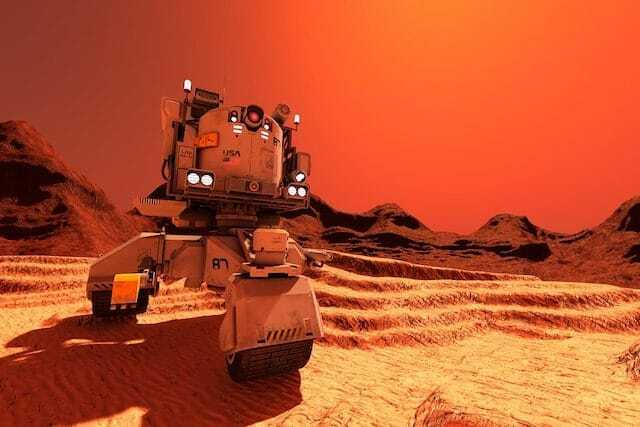 Today, a manned mission to the Red Planet is expected to last somewhere around six months, or even more. During this prolonged period of time, astronauts and colonists will be exposed to microgravity which has a long series of negative effects on the human body. One proposed transport system is a hypothetical space train, known as the Solar Express. 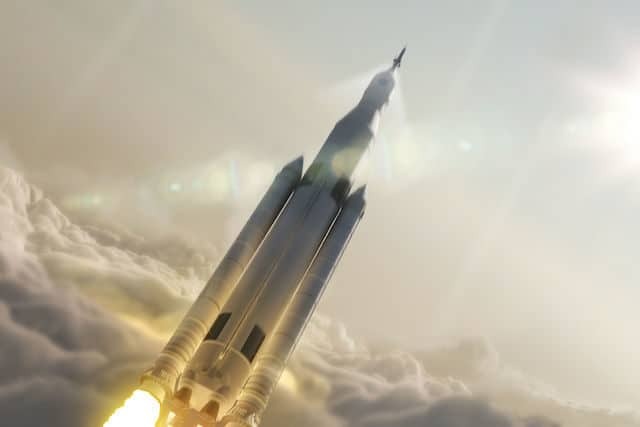 When it comes to space travel, the most expensive and time-consuming portions are the acceleration and deceleration phases. This proposed space train would, thus, never stop, going back and forth between Earth and Mars indefinitely. The Solar Express will first begin to accelerate by making use of rocket boosters. It will then use the planets’ gravity to continuously slingshot itself back and forth between the two. This way, the train would be able to reach 1% of the speed of light, or about 1,864 miles per second. This speed would reduce an Earth-to-Mars trip to just 2 days. Geez, Matt Damon would be pissed. Unmanned probes would mine for water or other resources from asteroids and would rendezvous back with the train on its return journey. Boarding the train from the planets would be done in somewhat the same fashion, without it ever needing to stop. We are still a long way away from developing one such space train – with much of the technology required not even existing at this point. Nevertheless, the entire concept is intriguing, to say the least. In 1995, Elon Musk attended a graduate program at Stanford University for a grand total of two days before dropping out to try to change the world through the Internet. Four years later his first company, Zip2, sold for $307 million to Compaq. His next enterprise was a small company called X.com, which dealt in online financial transactions. You’ve probably never heard of X.com, but you have heard of the service that it became: PayPal. Ebay bought PayPal for $1.5 billion in 2002. Elon Musk never intended to compete with NASA. 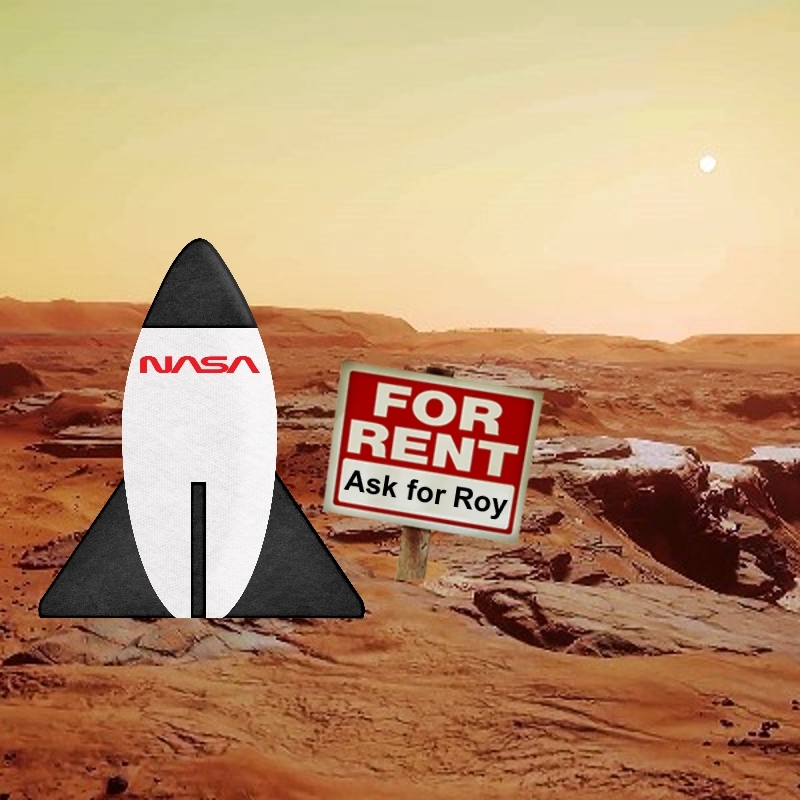 He just wanted to use some of his insane wealth to put a greenhouse on Mars. 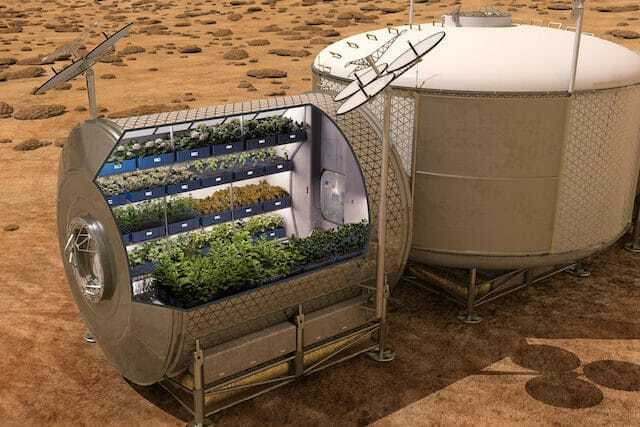 His hope was that his humble greenhouse on the red planet would spark the public’s imagination and reignite popular interest in space exploration. Then NASA quoted him $130 million for a rocket capable of getting to Mars,causing Musk to take a good, hard look at our existing space technology. He immediately recognized that much of the technology and manufacturing process was outdated. No one was stepping up to make space flight realistic, so he filled the niche himself. The SpaceX Falcon 1 rocket costs SpaceX’s clients $7 million per launch, and that’s presumably including a very hefty profit margin. That’s $123 million cheaper than NASA can do it for. Elon Musk often talks about how he’s identified a three pronged approach for bringing humanity into the future. The first approach was the Internet. The second was interplanetary flight, and the third was the electric car. 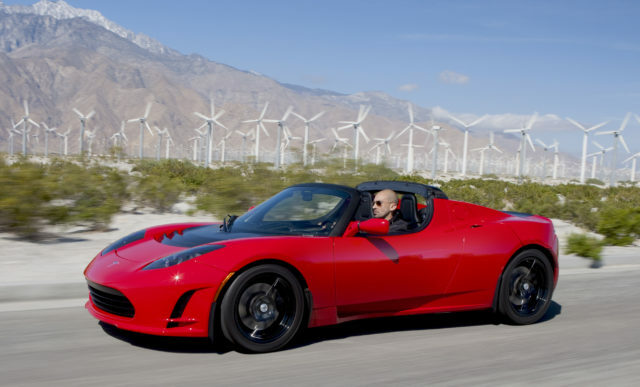 Until now, the electric car has been career suicide for any car manufacturer. They’re notorious for being slow, uncool and taking 20 hours to recharge after every two hours of driving time. Musk got on board with Tesla motors, providing funding and eventually winding up in the CEO role. Tesla cars solve several key problems. They look cool, drive fast and have relatively low charge times, with a range of roughly 22 miles per hour of charge. This makes them much more user friendly than anything we’ve seen before. A 2012 web comic created by The Oatmeal brought Nikola Tesla back into the public spotlight, turning the nearly forgotten genius into an Internet celebrity. When it became apparent that Tesla’s old laboratory was going to be sold to developers and destroyed the Internet rallied, raising a million dollars through a two week crowdfunding campaign. When Elon Musk heard about this, he donated an additional million dollars to the cause, and also pledged to build a Tesla car supercharging station at the site. 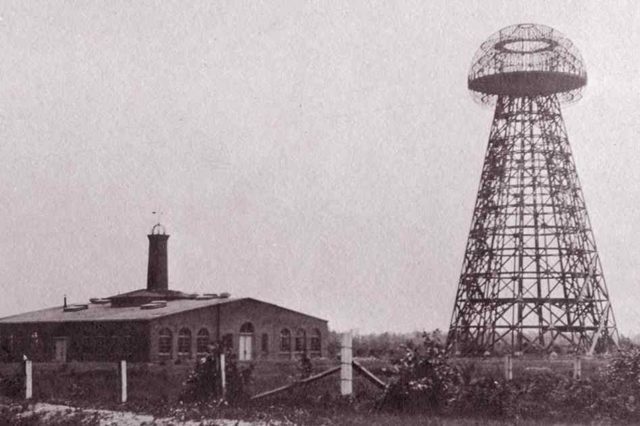 Tesla’s old lab is now set to become a museum dedicated to the great man and his achievements. 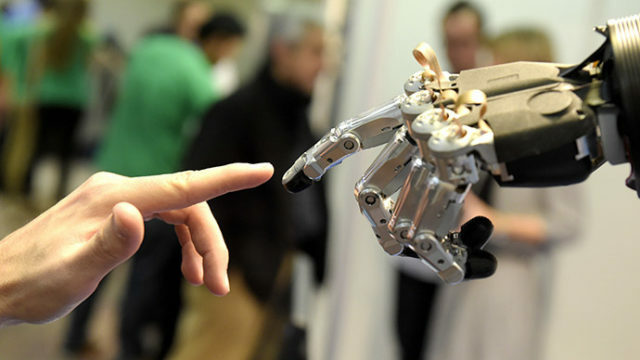 The robot apocalypse has been on people’s minds for some time now. 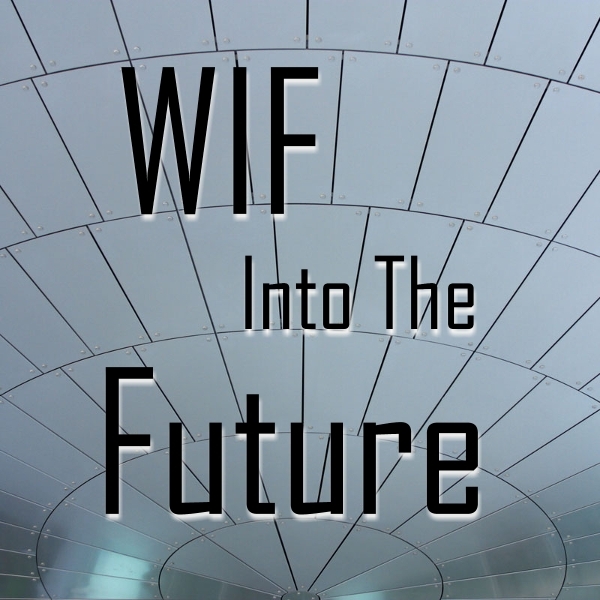 TheTerminator movies made Skynet a household name, and The Matrix took things a step further by showing us what the world might look like after the machines completely take over. In recent years, some of the smartest people on earth have been warning us that we’re getting close to the point where AI may surpass human intelligence. Sure, Siri can barely take a memo now, but the popular theory is that processing power doubles every two years. The singularity is getting exponentially closer. 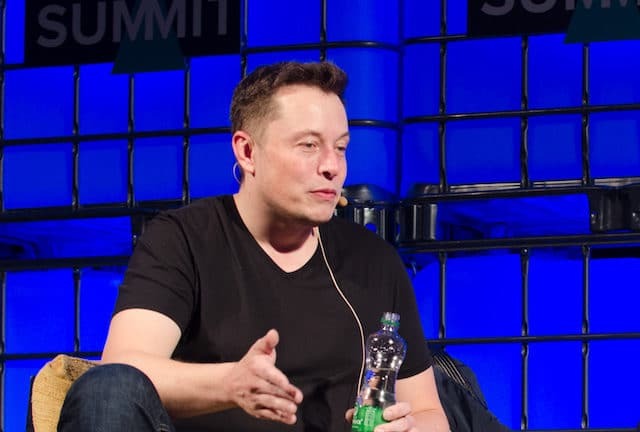 Elon Musk is one of the voices taking the threat of AI seriously. In fact, he’s so worried that he made a 10 million dollar donation to the Future of Life Institute, which researches ways that we can peacefully coexist with machines, and also tries to identify and eliminate issues that may cause harm to people should that future become a reality. What do you do when your electric car company’s business plan requires more lithium ion batteries than the entire world produces? 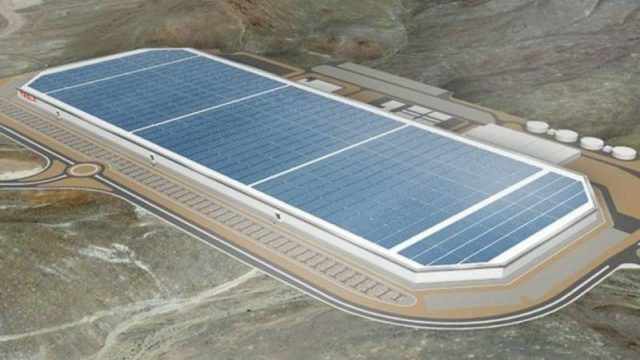 If you’re Elon Musk, the answer is to create a giant “Gigafactory” that meets your own demands. Even for a man as wealthy as Musk, the Gigafactory is no small undertaking. The estimated cost of the factory is five billion dollars. Tesla is only worth just over three billion. That’s a bit of a funding gap. Musk got around this problem by inciting a bidding war between states who want to host the Gigafactory, which is estimated to create 22,000 new jobs and bring 100 billion dollars into the local economy over the next 20 years. The state of Nevada won with its offer of 1.4 billion in incentives, plus free land to build the Gigafactory on. 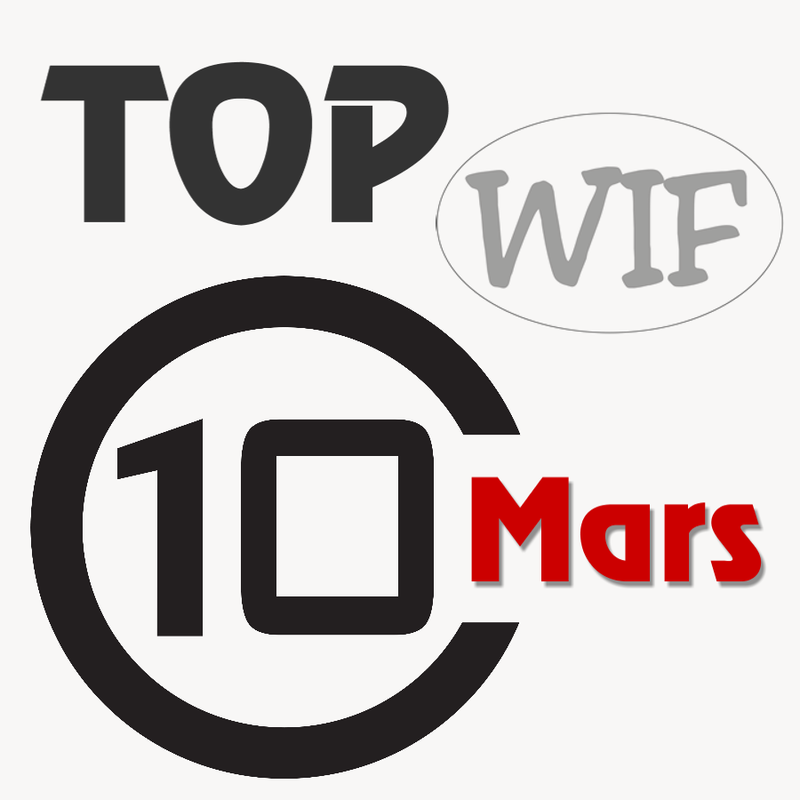 You’ve probably heard of the ambitious Mars One project, which aims to put human life on the red planet by 2027. 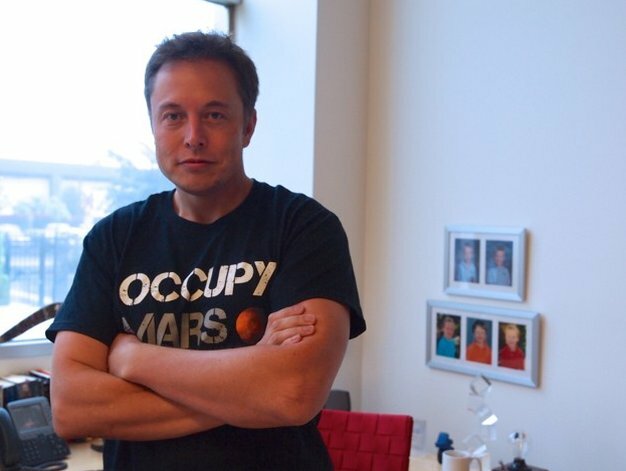 But Musk is planning his own Martian colony program, and he wants to do it three years earlier. 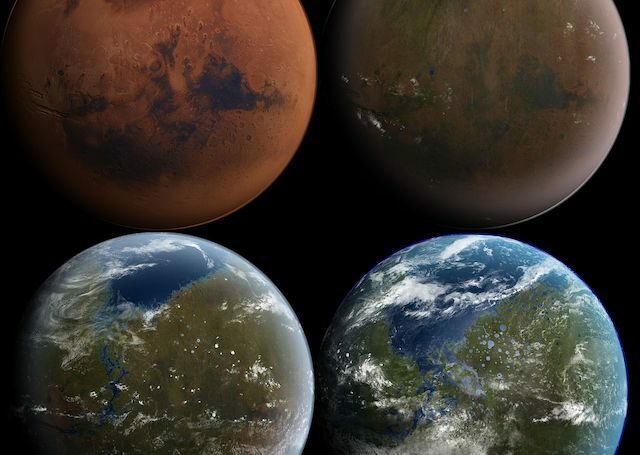 While Mars One is hoping to put four astronauts on Mars, Musk’s vision would have an initial team of 10 that expands to a self sustaining colony of 80,000. Unlike the Mars One project, who hope to fund their ambitions by turning the mission into a reality TV show, Musk isn’t looking for the best and brightest. 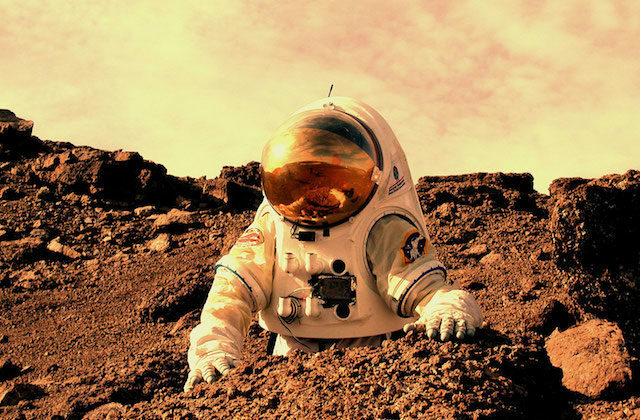 He’s providing one way tickets to Mars to anyone who can afford the $500,000 price of a seat. Start saving your change. Not content with offering flights to orbit for one-tenth the cost of his competitors, Elon Musk is already working on the next way to save costs. He claims that if a launch mission costs $60 million, then only 0.3% of that cost ($180,000) is propellant. The rest of the cost is in building the rocket stages, which are discarded and fall into the ocean, meaning that they must be rebuilt for every mission. He compares that with the idea of airlines having to buy a new 747 for every flight. Obviously, a reusable rocket would save a huge amount of money. You couldn’t just drop a huge rocket into the desert, though — that’s dangerous. 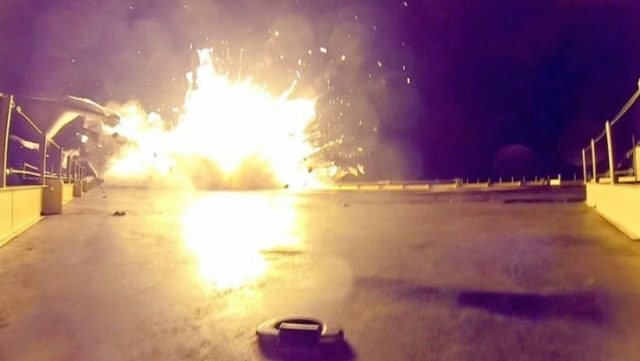 So Musk has come up with a strategy to use drone technology to land his rocket segments intact on a sea barge. His first attempt didn’t go well, to put it mildly, but Musk is optimistic about perfecting the technology in the near future. Google has been on the road to self-driving cars for several years now, and has said that they’re hoping to bring them to consumers in three to five years. So it should be no surprise that Elon Musk is looking to integrate the technology into his next generation of Tesla cars. Tesla’s Model S already includes some self-drive features, such as the ability to change lanes automatically if there’s space and adjust the cruise control speed whenever the car passes a new speed limit sign. Musk has stated that the next step is to implement functionality that would allow drivers to summon their cars from the garage via their phones, at least when they’re on private property. 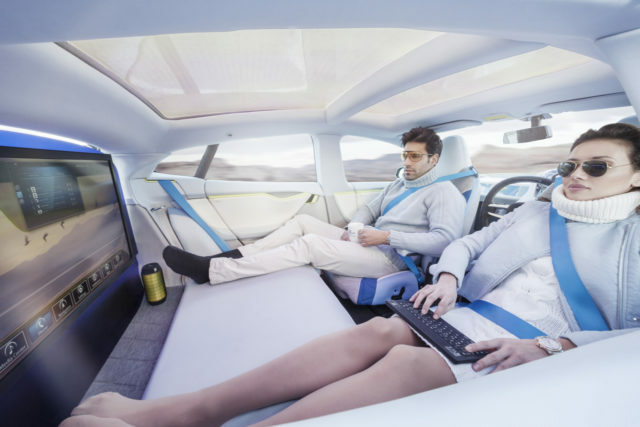 Autonomous cars on public roads are still a legal nightmare. The Hyperloop is what trains want to be when they grow up. Elon Musk is currently working with UCLA graduates in Texas to build a test track for his public transit system, which he claims will be capable of reaching speeds of 760 mph. For comparison, the current fastest train in the world travels at 360 mph. The Hyperloop works by enclosing a train in a low friction tube and using air pressure to shoot the train at massive speeds. It’s based off pneumatic tube systems used in offices to send messages between floors. Musk believes that his Hyperloop would allow transit between Los Angeles and San Francisco in just thirty minutes. That’s twice as fast as making the same journey by aircraft. 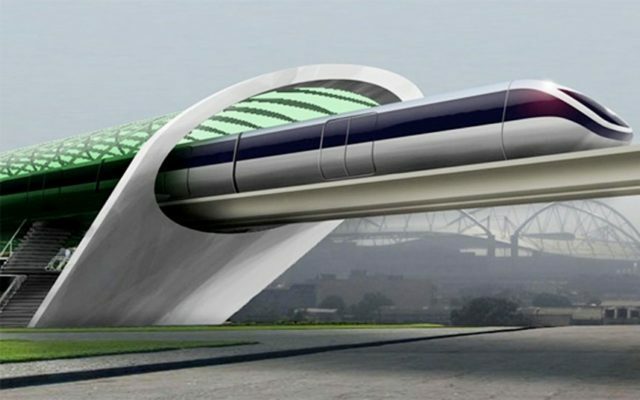 If successful, the Hyperloop could make the world a much smaller place. Travelling across the country could be done in a fraction of the time it takes today.